Its often said that the trouble with dry rot is that you can’t find it until someone sticks their foot through the floor. It is well known that the dry rot fungus Serpula lacrymans commonly grows in dark damp unventilated places where it is difficult for surveyors to find. These days are gone now thanks to some recent developments that mean we can now find dry rot quite easily. Not only can we find it before the piano sinks into the floor: we can find it before it does any damage at all to structural timbers. This can have a revolutionary impact on the way we go about searching for dry rot. Not only can we find it before it does any damage, but we can carry out detailed inspections for dry rot without doing any damage ourselves. · No need for disruptive surveys. · We can tell if our eradication has been successful. This new patented technology has been developed as a result of a greater understanding of the fundamental nature of the growth and development of the fungus and the way in which it breaks down wood. It is based on the biochemical principles that underpin the mechanism of action of the decomposition of wood. That’s enough science but how does it work in practice? The procedures involve placing special sensors that react to dry rot in areas that are affected by dry rot or are at risk of becoming affected by dry rot and examining them from time to time to see if they have undergone a colour change. It’s really that simple. In fact it’s simple reliable neat and inexpensive. Here are a few photos to illustrate the technology in action. Two types of sensor are available. Single purpose dry rot sensor and dual-purpose moisture sensor and dry rot sensor. The single purpose sensor is useful if a surveyor is suspicious of a location within a building and feels that more information is needed. This can happen in a situation for example where there is a stain in plasterwork that seems to have arisen from an ingress of moisture. Single purpose sensors placed adjacent to structural timbers that might be at risk from dry rot can tell if decay has started or is about to start. Appropriate intervention can then be implemented. 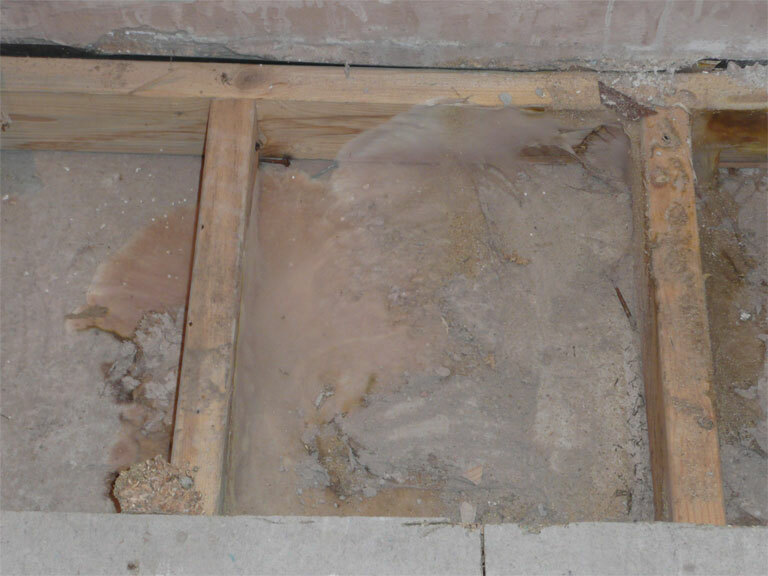 Similarly in the event of a typical domestic flood from a washing machine or toilet overflow, the affected area can be tested to ensure that dry rot does not develop as the area dries out. within a building and to map out the areas affected by dry rot or that might become affected by dry rot. Such information is required when carrying out a detailed survey of a building. Or when an outbreak of dry rot has been discovered and it is necessary to map out the full extent of the spread of dry rot without the normal disruption of lifting floors and removing plasterwork. An important advantage in the application of both types of sensor is that they can be fitted and examined by anyone. No specialised equipment is necessary. The single purpose sensors are simply fitted then removed for examination. The dual-purpose sensors are designed to be used in conjunction with an electrical moisture meter for determining the spread of moisture, then removed for examination. After examination sensors that have not reacted can be re-fitted for future examination. Sensors that have reacted may be replaced for future examination. The can if desired for part of a long-term monitoring procedure. This might be done where it was desirable to deal with the dry rot using environmental control technology for example in a historic building. That he thinks might give rise to dry rot. is dry rot or no there is not. single purpose sensors and will get a yes there is dry rot until the point where the dry rot stops. Or he can fit dual purpose sensors and map out the spread of moisture that will tell him the whole “at risk ” area, then remove the sensors and establish how far the dry rot has spread within that at risk area. 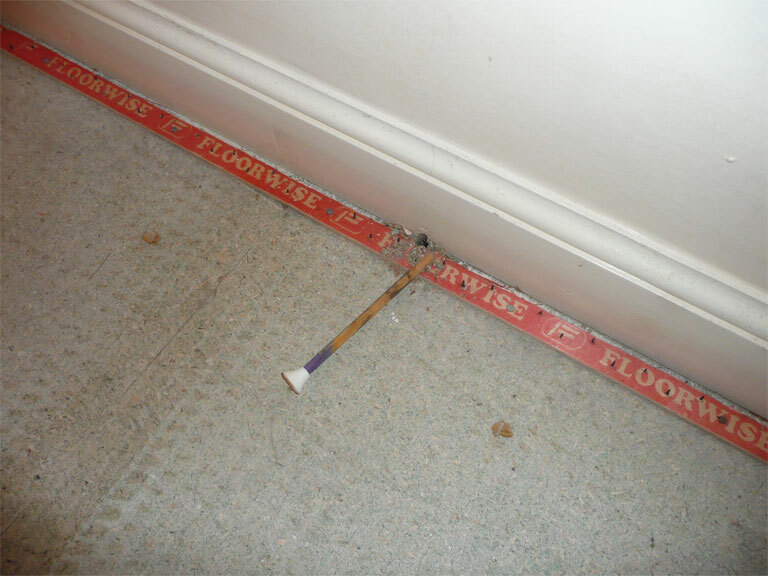 He has then established how far he has to go with his treatment in order to stop the dry rot from spreading further. 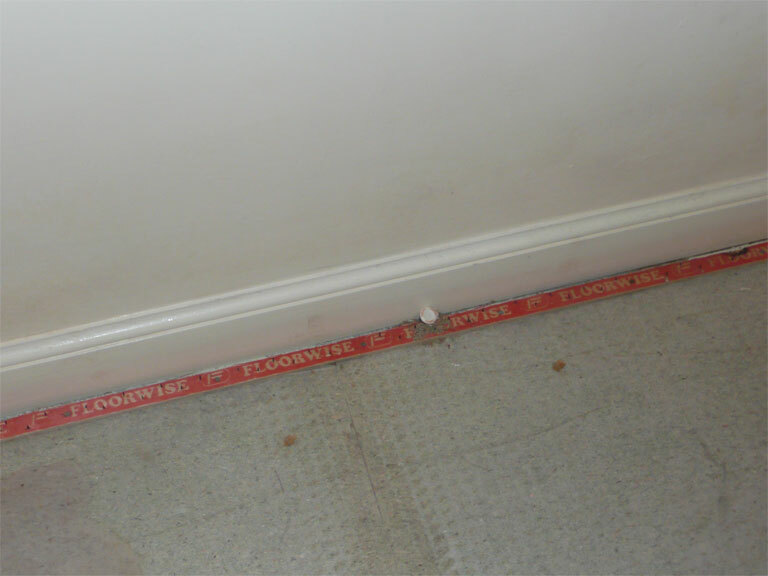 can be fitted in the affected area allowing the moisture to be monitored until it fully dries out. As the area dries out the sensors can be checked to ensure that there is no dry rot re-development . Once dry there is no longer a risk, the sensors can be removed. 4 An outbreak of dry rot has spread behind some ornamental panelling in a historic building. To treat the outbreak by conventional methods would involve damage to the panelling. Dual purpose sensors can be fitted within and around the affected area and the activity of the fungus monitored.